The lesson is 25 minutes and their is a practice time available for skaters on the day of their class. Thursday class students can practice from 6:15 to 7:10pm. Saturday class students can practice from 11:25am to 12:20pm. Usually tots and snowplow sam skaters do not practice after their lesson, so please be patient and hopefully after a cycle or two they will want to stay for the practice time. 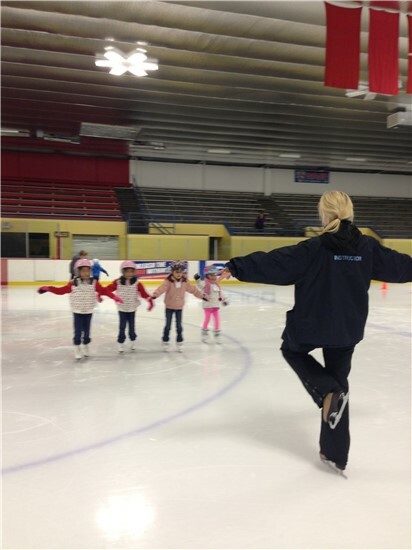 TOT CLASS for 3 year old beginners who have never skated before.